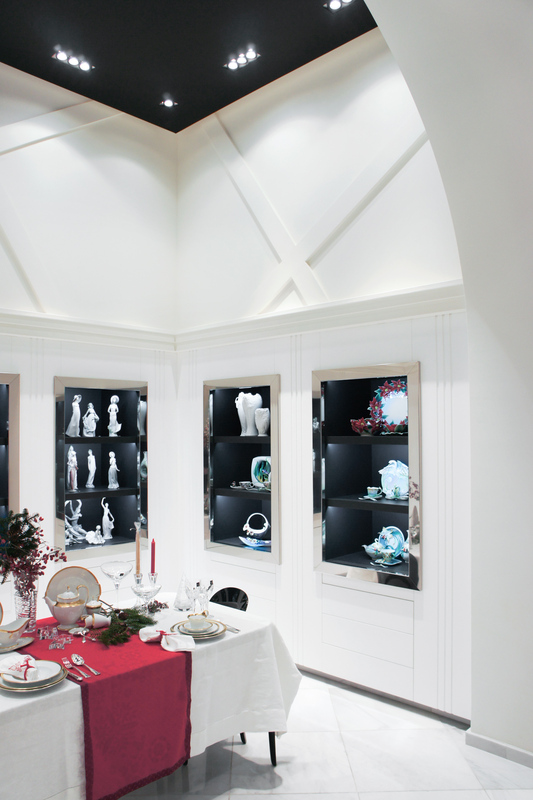 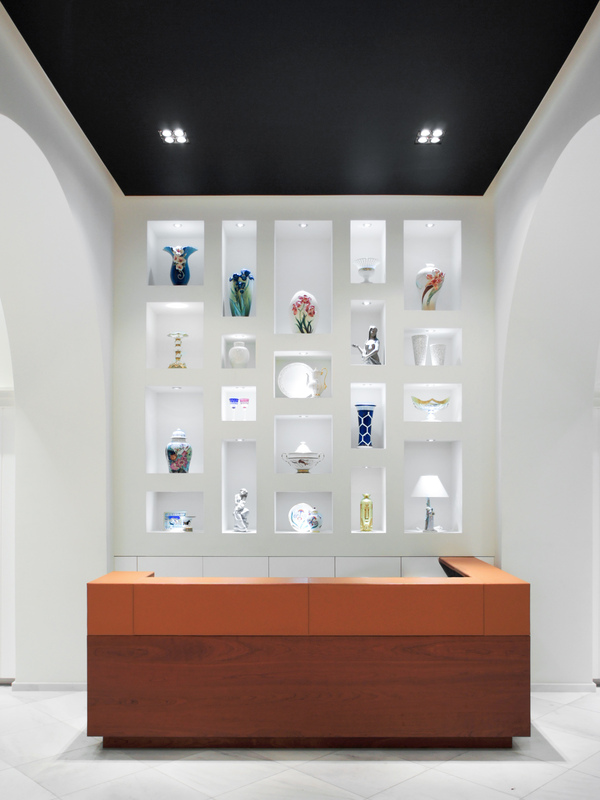 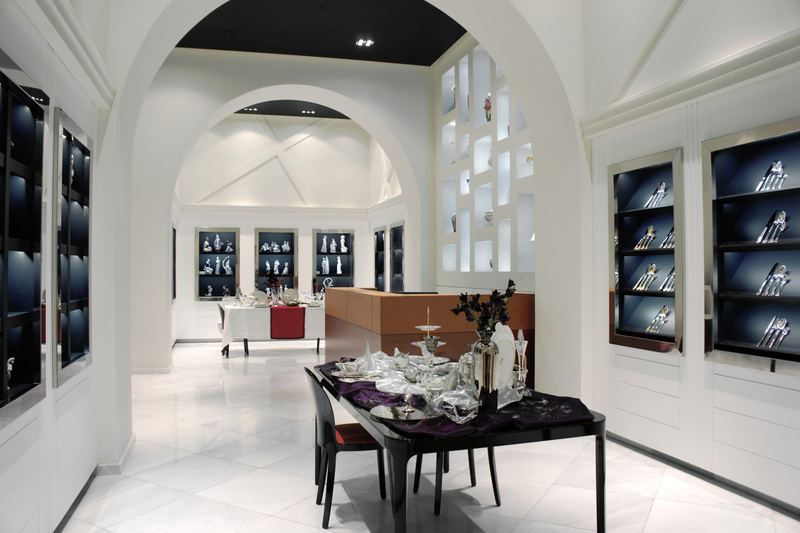 The second space we designed for Royal Home Store, an Azeri luxury table ware retailer. 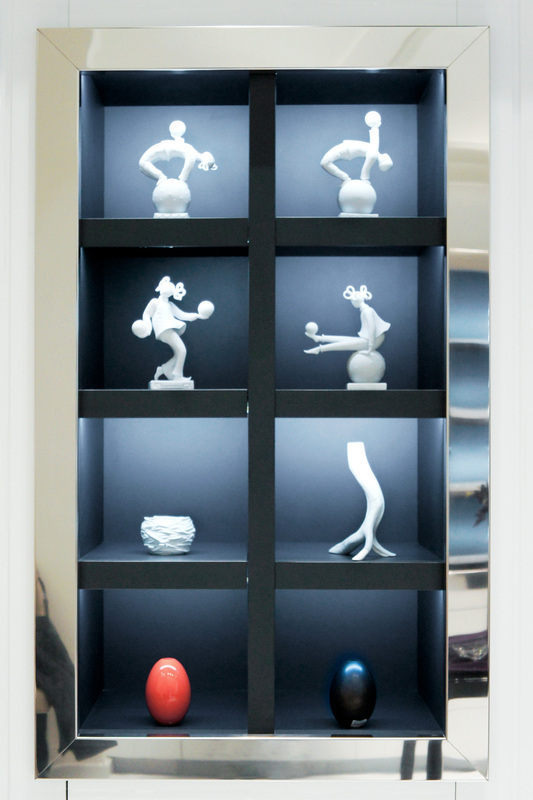 The signature display cases with polished stainless steel frames showcase the products like artwork in a gallery. 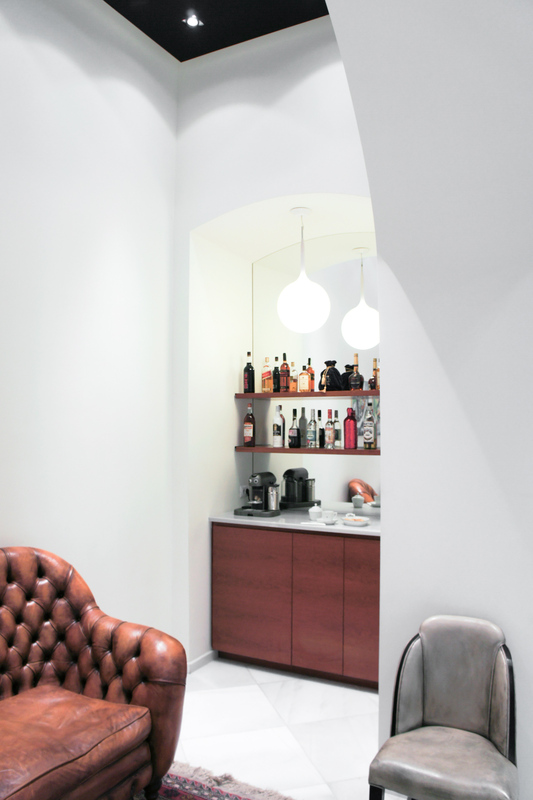 With the cashdesk and some podiums, we’ve introduced cedar wood and saddle leather to the material palette.